mountain. At about 5750m we made a cache with 4 tents and skied back to ABC. Tomorrow we will have our Puja. 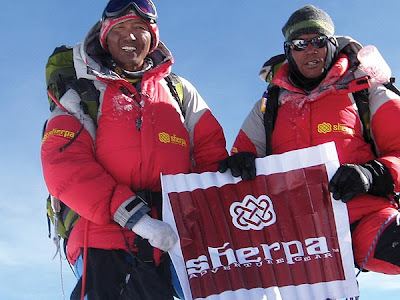 After the Puja the climbing sherpas will help us setting up the camps. Camp 1 the following day.